Description: An updated version of the Map Imposing. Thank you to all Players who attended Event Horizon Session #43. 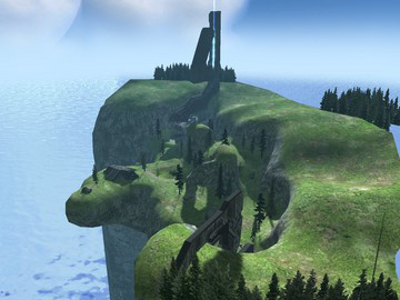 [H3] Imposing V2 is a Medium Sized Halo 3 Style Style Map having 2 Bases situated either side of a level Cliff Top, with partly obscured higher ground offering an alternative route. 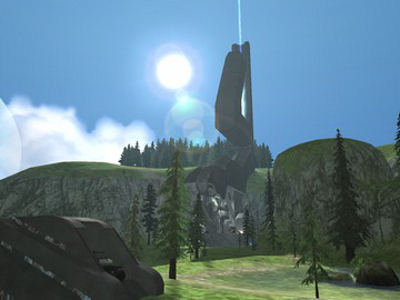 In addition to Ghosts and specific Custom Vehicles, on the Cliff Top middle edge there is a structure where Custom Hogs are located. 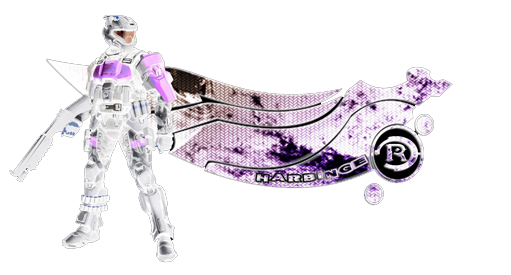 For good Game Play [H3] Imposing V2 is suitable for up to 6 Players, (but ideally 8 - 10+) and although the recommended Game Types are CTF and Slayer in fact all Game Types are supported. KOTH is very good as so is Juggernaut. Oddball is supported but depends on Player number and Ball Count Variant to succeed, but is the least desirable Game Type. CTF, (and CTF Variants) is very good but can lead to deadlock with many Players, whereas Slayer, (and Slayer Variants) is definitely more suitable for many Players. [H3] Imposing V2 has fixed all the problems associated with the original Imposing Map and absolutely now fits in the category of acceptable for inclusion in a Map Cycle. Despite having less than 10 Players for the majority of the Event it was a very enjoyable Session that lasted over 2 Hours, and I would definitely play this Map again.